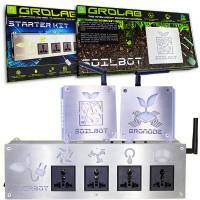 The Grolab Soil combo system, gets your plants are self administered by humidity sensors for the substrate. PowerBot will maintain stable micro-climate for your plants grow strong and stress free. The combination of all GroLab modules provides a control capability never seen before. The modules communicate with each other simulating the operation of a brain. 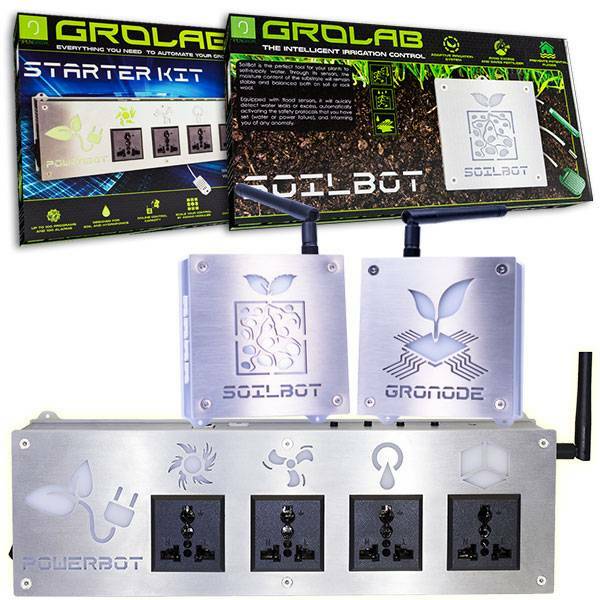 This capability offers the grower the ability to replicate its physical abilities in GroLab performing hundreds of tasks simultaneously. The SoilBot moisture sensors monitor the substrate’s moisture. This allows plants to feed themselves when they need while minimizing the consumption of water and fertilizer. It controls the irrigation of multiple crops using the substrate moisture sensors. Thus, smaller plants with a lower absorption rate will not receive the same amount of water and nutrients as the larger ones. 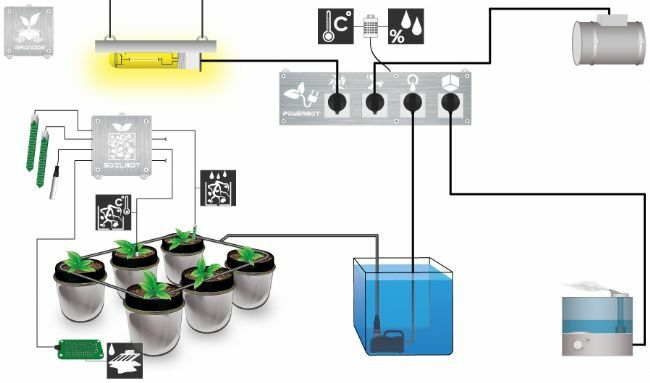 The PowerBot will receive the order to activate the water pump(s) and / or 220v electrovalve(s) when the plants so order. - Turn off electrical elements that hinder safety at specific times. - Ensure that the temperatures do not exceed the logical limits and act accordingly. - Cut water flow to prevent flooding. - Disable lighting if your plants are not getting the water they need in order to avoid drying. 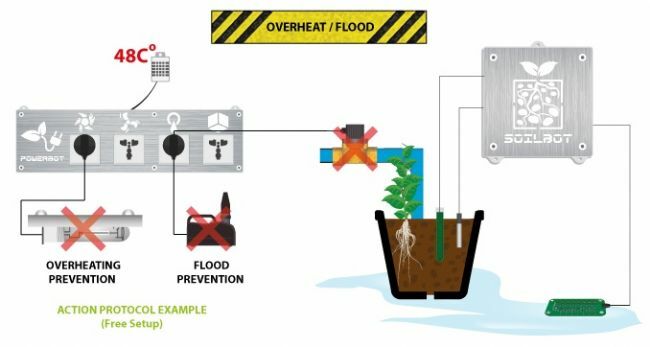 - Check the soil and avoid flooding (by disconnecting the irrigation and electrical devices that threaten safety). - Emit a loud beep if a safety alarm is detected. - Send notices to the computers connected to the local network enabled with GroLab Software. - Send messages to multiple online platforms (Email, Twitter, Facebook), This requires an Internet connection. GroLab software, manuals and video tutorials in english and spanish.